Our approach is to realise the dreams of our clients with imaginative design and professional management of all aspects of their projects. We work iteratively and collaboratively with clients and contractors to deliver outstanding results and value for money. We are committed to delivering a high standard of service and responsiveness, getting the most out of any budget and putting our clients at the heart of any project. Whether you are looking to develop a site, refurbish your home or create an extension, call or email now and let us help you get the most out of your project. WSW is a dynamic Architectural and Building Surveying practice which was established in 1994. During this time we have worked with a wide variety of clients and have established an excellent reputation. We provide a cohesive, professional service which we have developed through years of experience and technical knowledge. Good design is no accident and our award-winning service is testament to this. The property world can be very complex, so our clients can be assured of receiving the best professional service and advice from us. WSW takes a holistic approach to architecture and can provide a full design and project management service tailored to meet your requirements and to make the process and enjoyable experience. We have worked with many private clients on a diverse range of projects such as New Build Design, Re-modelling, Refurbishment, Restoration and Conservation. We utilise these skills in imaginative and inspiring ways to create a harmonious balance between buildings and the natural environment. The correct use of light, space, layout and materials are essential to make the best of a property and is reflected in our balanced and practical approach to design. The home needs to be functional for the user, and we believe that good design is a reflection of strong communication and understanding of the Client’s needs. WSW is a professionally qualified, independent practice of Chartered Building Surveyors and Architects that are regulated by The Royal Institution of Chartered Surveyors (RICS). If you have a need to change your home in any way, from a radical transformation that will create more space, to imaginatively altering a part of it, going up, down or sideways, or simply installing a new kitchen, I can help. Since 1999, I’ve been ensuring clients achieve their goals, whether that’s designing a brand new home, undertaking a sensitive renovation, or reconfiguring a layout to create a much better and more practical flow within a home. Working with clients is a collaborative process. I bring the design experience and expertise to the table and, by listening to their requirements, come up with the best solution to enhance their home. I’m always mindful that it’s the client’s money, home and project. Only when the client is satisfied, am I satisfied. 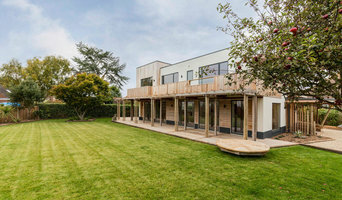 Established in 2003 and with studios in Surrey and North Yorkshire, Award Winning BWP Architects have successfully undertaken and delivered on projects all across the country from Northumberland down to the south coast and as an RIBA Chartered Practice BWP Architects can handle all aspects of your project. The ability to design individual solutions for each client and for each scheme together with a firm understanding of construction detailing, contract administration and an ability to achieve planning permission where others have failed has attracted many of our clients. A consistently high quality of service ensures many recommendations and repeat work from both private clients and developers. The practice Adam Knibb Architects has been established out of a desire to produce, design, rationalise and deliver architecture that would enhance the ideas and aspirations of each client. Having undertaken his architectural education at the prestigious Welsh School of Architecture (Cardiff), after the recommended period in practice Adam Knibb went on to complete his RIBA Part 3 qualification. During his education he gained a commendation for his final degree work and was awarded the Eisteddfod trophy in recognition for his creative architecture and design. He joined John Pardey Architects by invitation from the director. Specialising in one-off private residential houses, Adam honed his skills in detailing and coordinating the delivery of modern contemporary houses, where two of the projects he worked closely were nominated for regional RIBA awards. 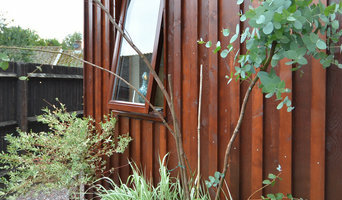 Adam moved on to Design Engine Architects to further his experience in modern ecological and sustainable buildings. He worked in a senior role within the architectural team to deliver a new University building, which gave Adam experience of working very closely with a variety of consultants at a high level of complex architecture. Adam has always aspired to create a practice of his own to design contemporary sustainable architecture. Having gained wide experience in the field the practice has been developed to produce architecture that can respond to individual requirements and sites, whilst focusing on contemporary sculptured forms but also backed up with sustainable technology. Developed from various backgrounds the practice uses simple materials to craft buildings from its tectonic origins into grand elements. I was given my first house building project in 1983; ever since I have sought to provide a comprehensive house design / build service, to a high standard, at a competitive price. I’m proud that the business has grown successfully through client recommendations. To me, design is a secondary skill. Listening is the first. Designing just what you want is impossible without listening closely to your needs. After all, it’s the little details that people remember. It is important to me to see just how my clients’ daily lives can be transformed through good house plan design, seeing them settle in to a new home, or enjoy their improved one. I hope you will give me the chance to help you. Bring your dream home to life and walk around a model of your project at home on your tablet or computer! Hampshire Architect’s Carolyn Gillians handles every project personally and puts you, the customer, at the heart of your project. Your Home Plans, brought to life.. Your Home Plans has been designing new homes, refurbishments, extensions and commercial developments since 2007, completing over 500 projects. The ideal building project needs vision from you and from us. Whether thinking about interiors or exteriors, our philosophy is to create beautiful and practical space that works with and matches our client’s lifestyle. We will take immense care to get to know what you want to achieve, and ensure that you get there. We know that every family is different and we take time to listen to all its members so that we can successfully merge everyone’s needs and wishes. At Sarsen Designs, we believe that good design lies at the heart of a successful home. Careful thought about how rooms and spaces will be used creates a home that flows and is a pleasure to be in. We're a friendly and professional, family-run, architectural design company based in Great Durnford, Amesbury, working throughout Wiltshire and Hampshire, capitalising on over 45 years of experience in the design and building industries to create practical, stylish living solutions. Whatever the budget, careful choice of materials, good craftsmanship, and attention to detail are key to building a home that looks good and stands the test of time. We work closely with you to balance your design aspirations with constraints such as your budget, timescales, structural or environmental limitations. We consider the environment and make the most of natural settings, creating links between the house, the garden and the wider environment, and using the natural power of the sun to bring light and warmth into the house makes it feel welcoming. We have been involved in designing new houses, redesigning existing ones, adding extensions, converting attics, garages and barns; working on both modern and traditional buildings including listed buildings, traditional cob and flint construction, and agricultural buildings. The Home Shop Ltd is a one stop shop company for home owners and commercial clients alike who are planning building works on their properties but are not sure where to start. The Home Shop can undertake the whole project for you, leaving you to carry on with your busy life free from the hassle of having to deal with several different companies. One phone call is all it takes to put your dream of a new house extension, conservatory or new home into reality. We operate throughout Winchester, Southampton and surrounding Hampshire areas. 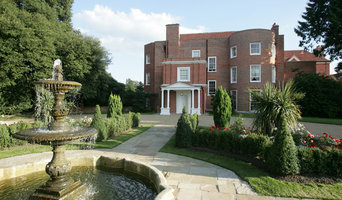 Architects, Planning Consultants, Principal Designers (CDM), Garden Design. We are a family based practice with the directors married to each other and with a son as one of the 4 architects. Architectural Designer and Building Surveyor working in the Bournemouth, Poole and Christchurch area. 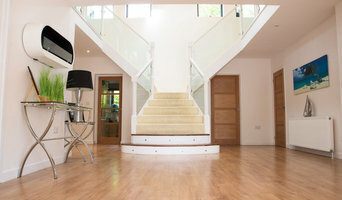 House extensions, loft conversions, new houses, building adaptations. We draw up the plans and get planning permission and building control approvals. 3D interactive model of your project accessible for free on your smart phone.